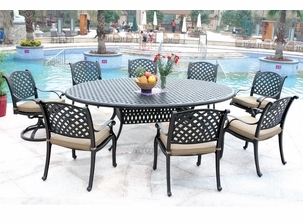 Welcome to our patio furniture section. 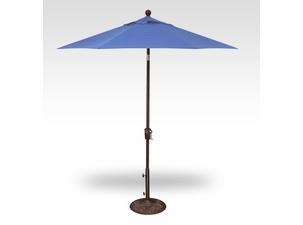 Enhance your outdoor living spaces with our Treasure Garden umbrellas, outdoor wicker furniture, cast aluminum dining and seating collections and fire pits. All patio products are made of the finest quality craftsmanship ensuring you many years of use and fabulous styles to choose from. 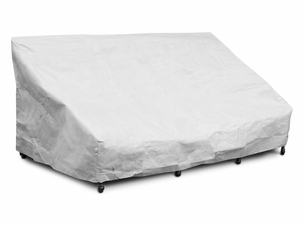 Sunbrella fabrics are available on cushions with over 120 fabrics to choose from. This is your one stop shop to create a "Patio Paradise" of your own! Have you dreamt of making your outdoor space a place where you can truly entertain? Are you wanting to breathe new life into your outdoor patio furniture with modern style? If so, our selection has everything you need to reinvent your outdoor area. For example, our fire pits are the perfect way to create a fun and relaxing backyard entertainment area. Our fire pits come in a wide variety of styles, sizes, and colors so no matter what your preferred design is we have something for you in our selection. Our unique fire pit tables are the perfect place to set down your cocktail and daze off into utter relaxation. Stay warm while you sip your favorite drink or take in the cool summer�s night air without hiding under a blanket, all with our fire pits. 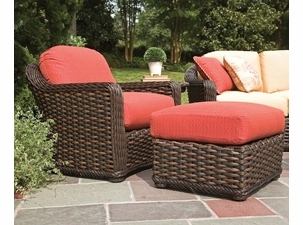 If you�re looking for a broader range of patio furniture, we have what you need there too! Our selection covers everything from chaise lounges to pool-side chairs for sunbathing. We pride ourselves on providing you with the ultimate selection in outdoor furniture, and we source only the finest products available. 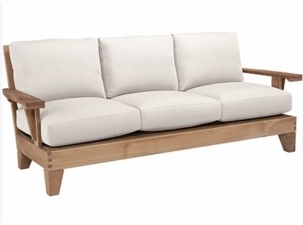 You�re sure to find the perfect piece or set for your outdoor living areas, thanks to our wide selection. Enhancing your home�s outdoor entertainment area has never been easier. Discover the best fire pits, cast aluminum furniture, or patio furniture for your entertainment or relaxation needs all at Wicker Paradise. 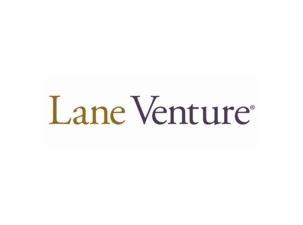 Remember, we offer so much more than just wicker furniture, so be sure to browse our full selection so you don�t miss out on great deals on awesome products!